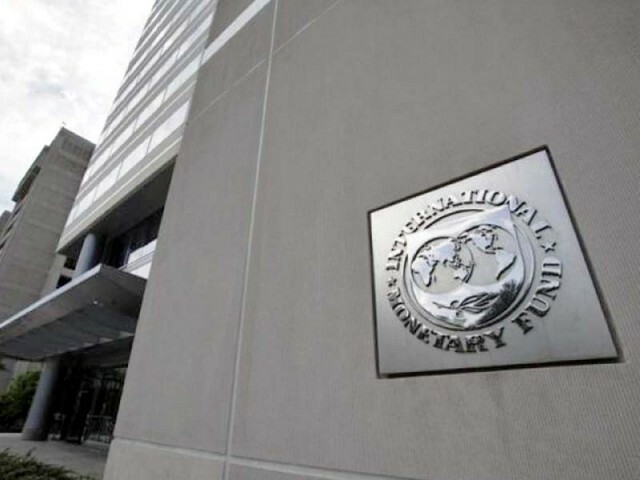 Global financial institutions, including IMF, World Bank and the Asian Development Bank (ADB), have forecasted a significant drop in Gross Domestic Product (GDP) growth rate “in coordinated efforts” to pressurise Pakistan to agree on entering the IMF loan programme on stringent conditions. To recall, the World Bank forecasted 3.4% GDP growth, while ADB assessed it at 3.9% for the current fiscal year to end June 30, 2019. Khan’s assessment for GDP growth matches with the one anticipated by the State Bank of Pakistan (SBP) at 3.5-4% in its latest quarterly report on the state of economy released in end of March 2019. Khan, who is also Principal and Dean, School of Social Sciences & Humanities, National University of Sciences & Technology (NUST), also found the IMF suggested Federal Board of Revenue’s (FBR)-revenue collection target of Rs5,400 billion for FY20 unrealistic. IMF is suggesting a 40% growth in FBR revenue collection for FY20 compared to almost zero growth in the collection in the current FY19 to be ended June 30. “Such a high growth in collection at times when economy is slowing down is impossible,” he said. If FBR manages to collect Rs3,800-3,850 billion revenue against the set target of Rs4,398 billion for FY19 then “it will be a great achievement”, he added. Considering the FBR would achieve the collection of Rs3,850 billion in FY19 it would be similar to the one at Rs3,842 billion collected in the previous fiscal year 2018; meaning the collection would remain flat, he said. If Pakistan accepts the IMF suggested FBR revenue collection target then “the government would be presenting the mini-budget in every quarter to overcome the shortcoming. This would end up with an economic disaster,” he said. He advised Prime Minister Imran Khan to stop letting the rupee depreciate against the US dollar and other world major currencies. He also urged to stop raising the key benchmark interest rate, revising power and gas tariffs upwards for end consumers. A further rate-hike and devaluation may result into standstill of economic activities in the country, as a large number of businessmen are complaining to PM Imran on social media about decline in their business activities. It seems Pakistan has kick-started an unending accountability process and it is it is growing with every passing day. Earlier, the process was limited to politicians and now it is also hurting businessman. “I think PM Khan will not forgive anyone who is found involved in corruption,” he said. “So I will suggest him to hold meetings with judiciary and National Accountability Bureau (NAB) to quickly conclude the accountability cases, as this is hurting the country and its economy now,” he said. Dr Ashfaque said inflation should ease down from here onward. The rate of inflation would slightly drop for the ongoing month of April considering the five-year high reported rate of inflation at 9.4% for March 2019 was a flawed number. Secondly, the base effect is about to come to an end. “In April, the tomato price would recover, gas price would also be fixed and that base effect would come to an end,” he commented. PPP says PM's meeting with IMF chief is "depiction of another inconsistency in his words and actions"